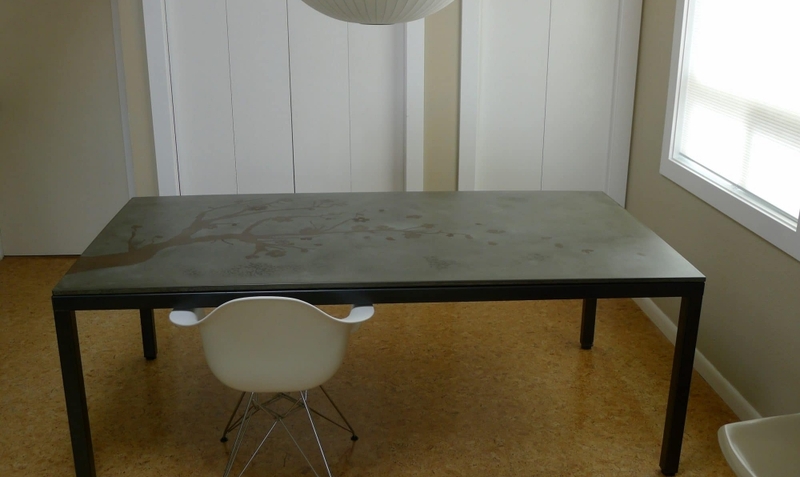 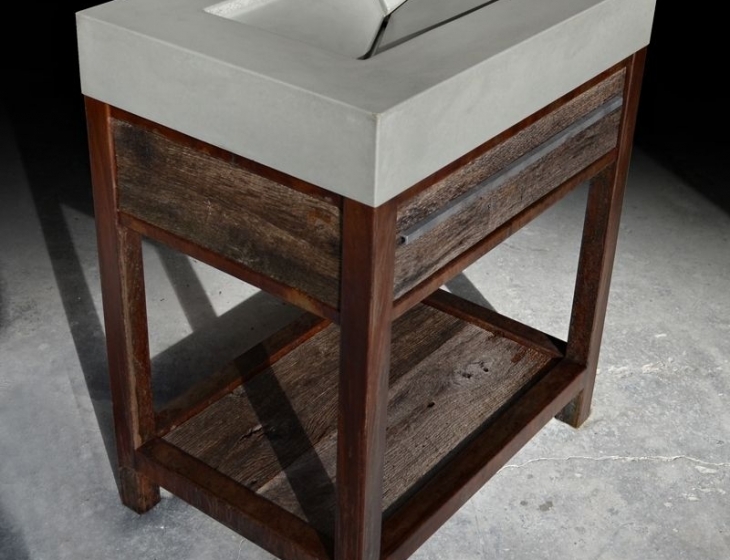 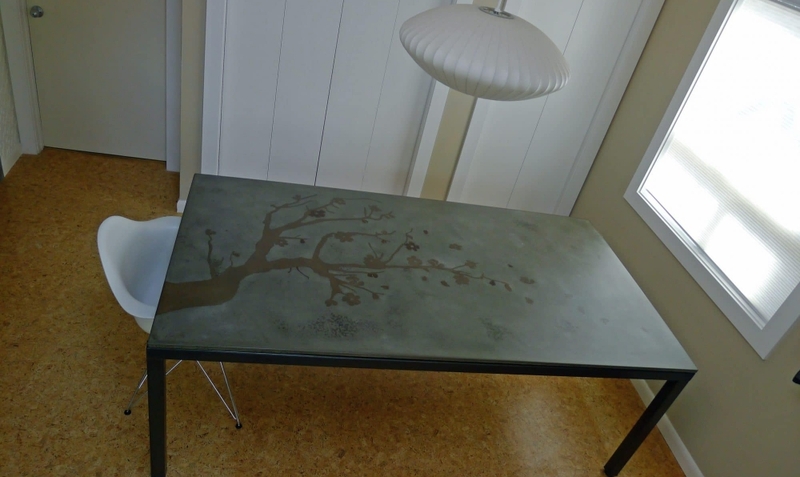 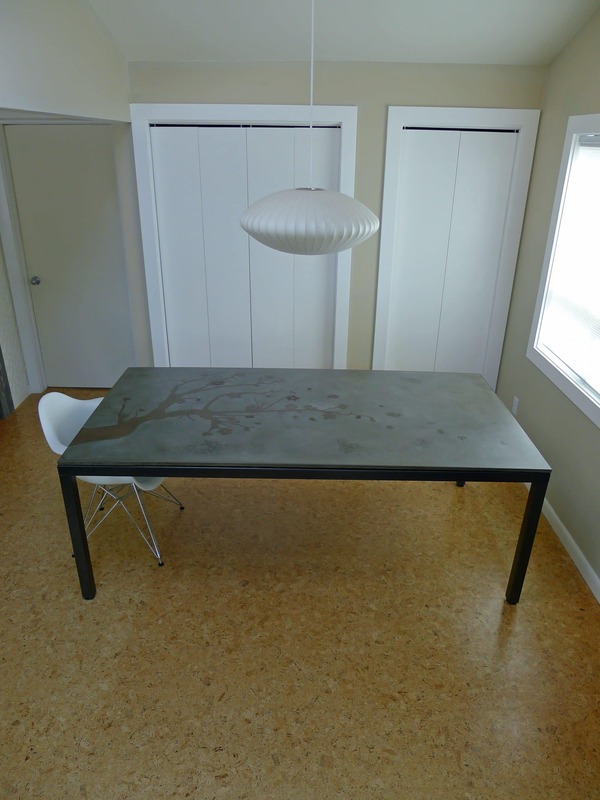 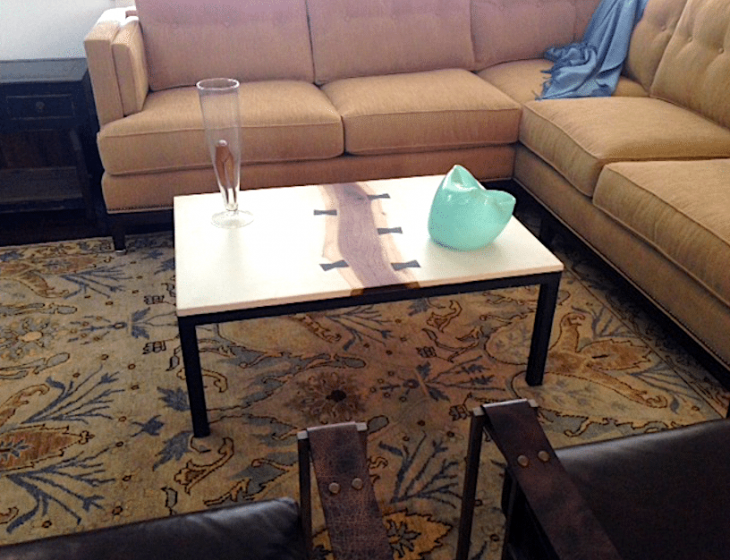 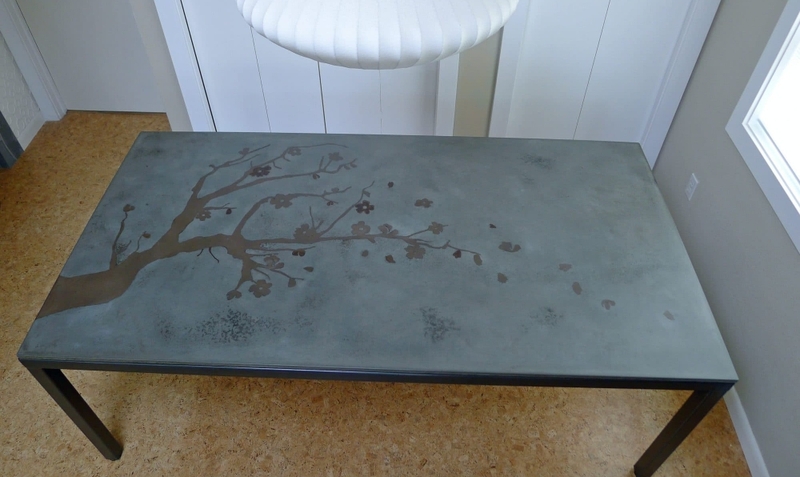 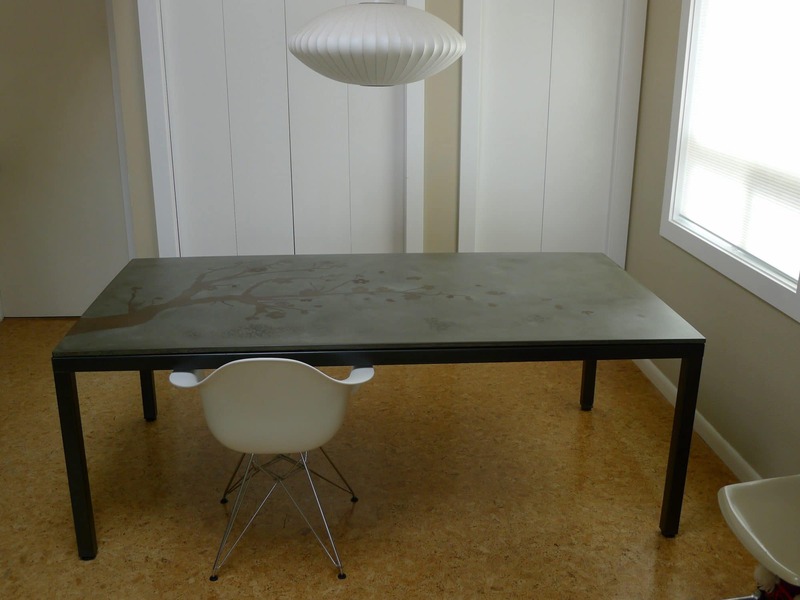 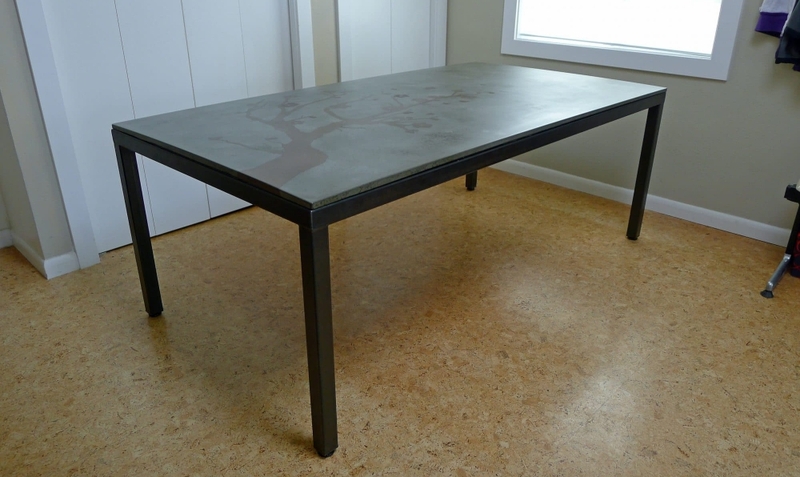 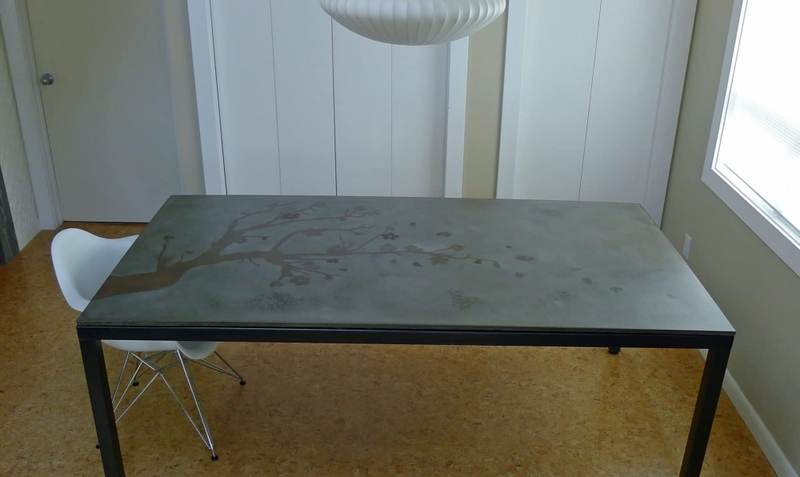 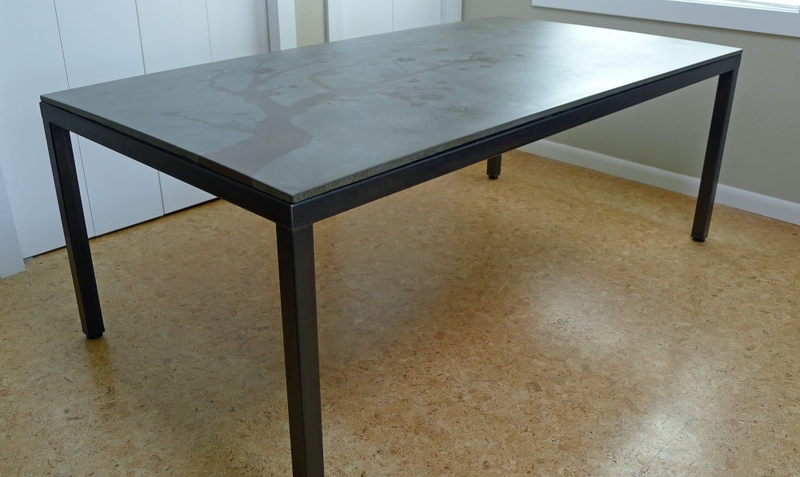 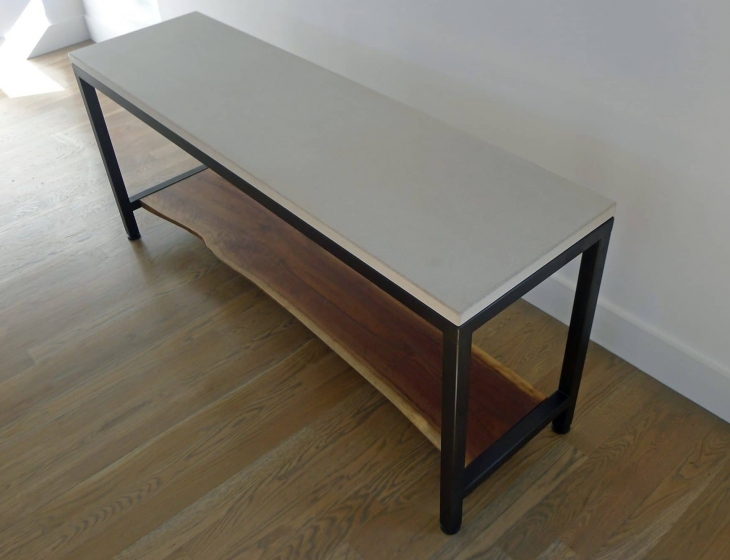 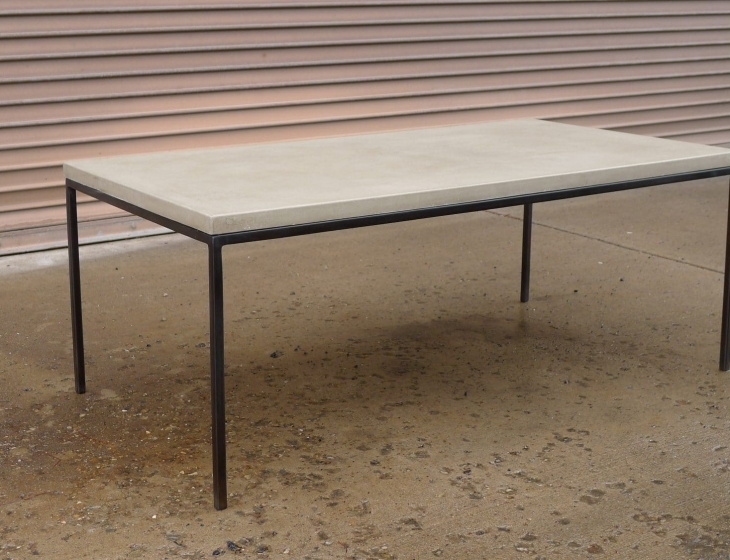 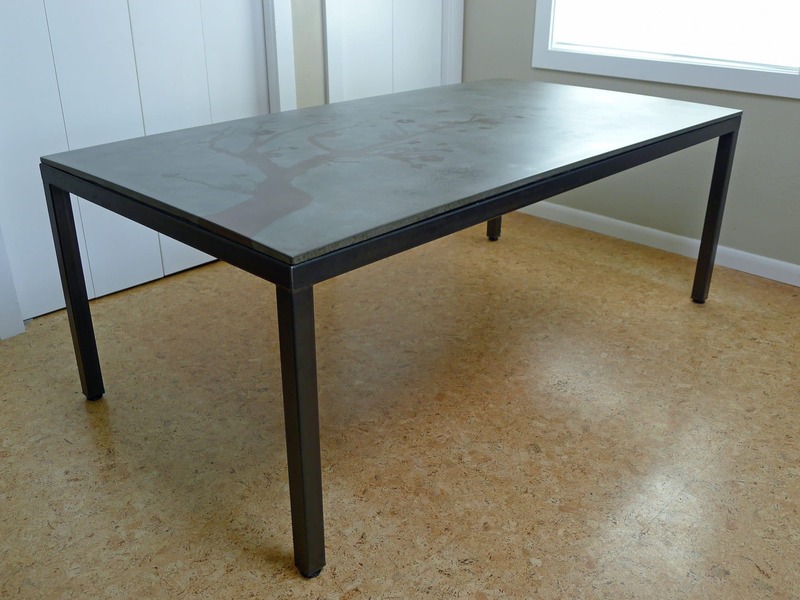 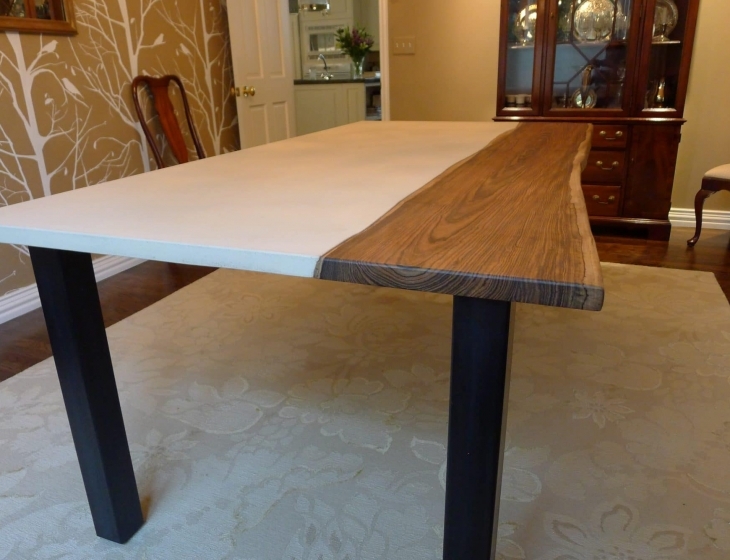 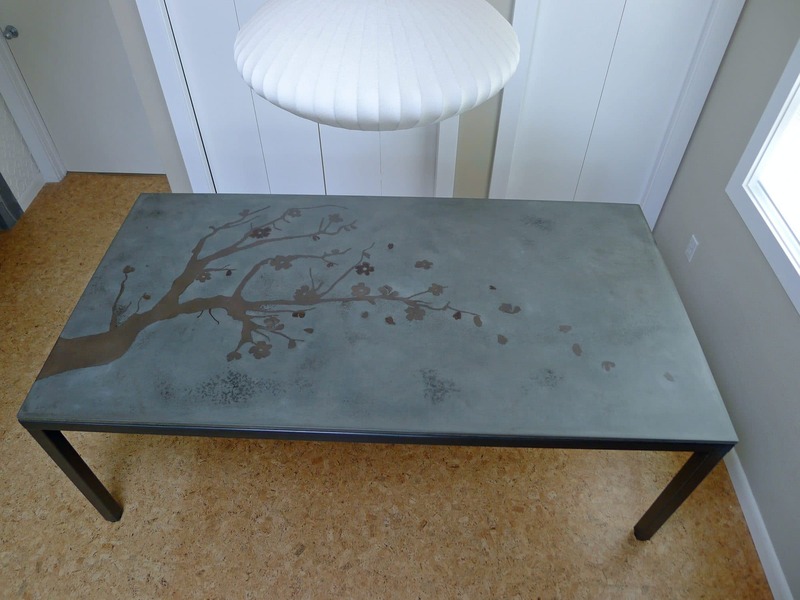 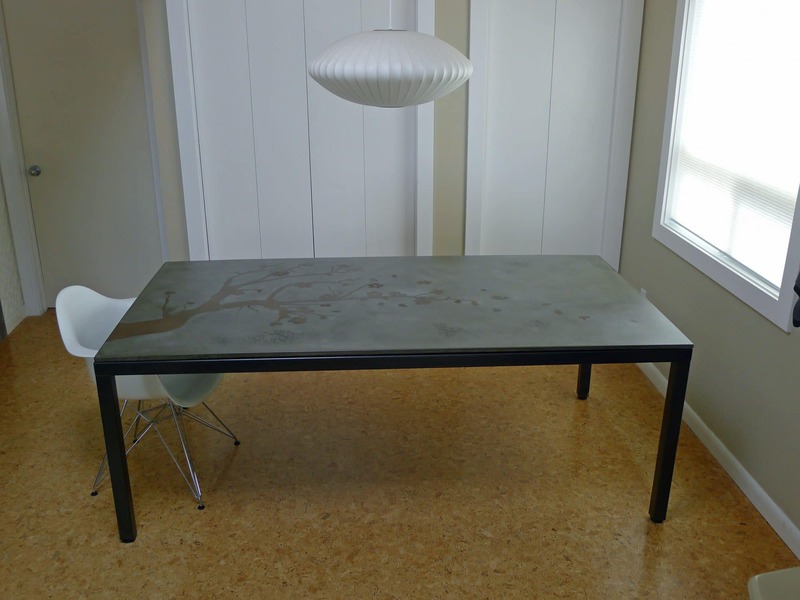 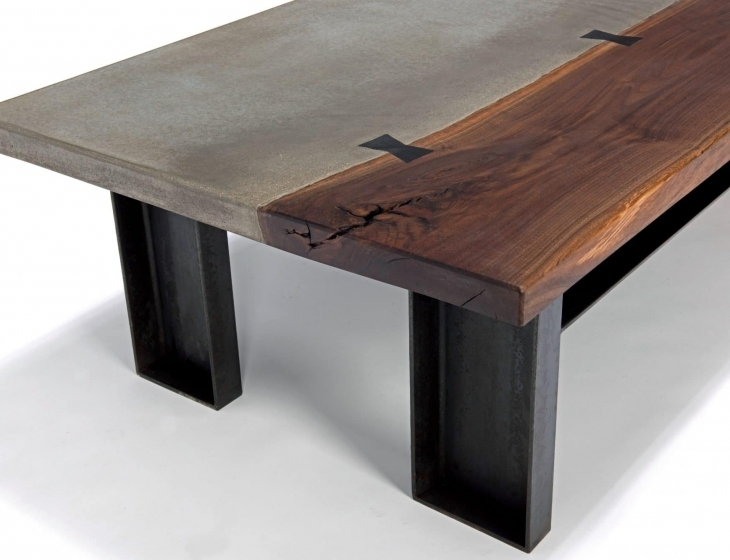 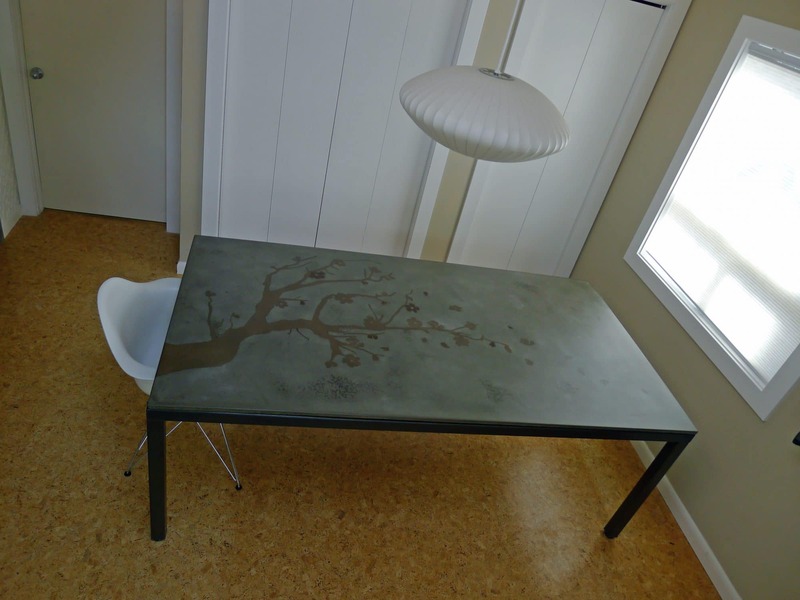 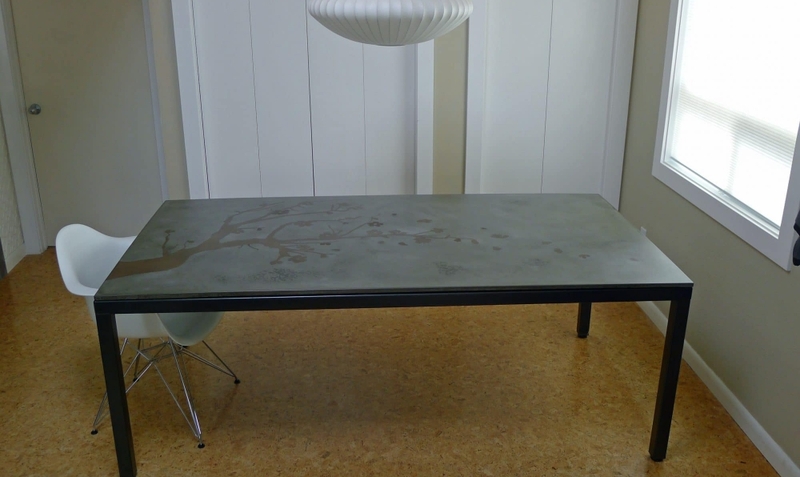 1″ thick concrete tabletop with cherry blossom branch inlay in contrasting ‘chocolate’ colored concrete. 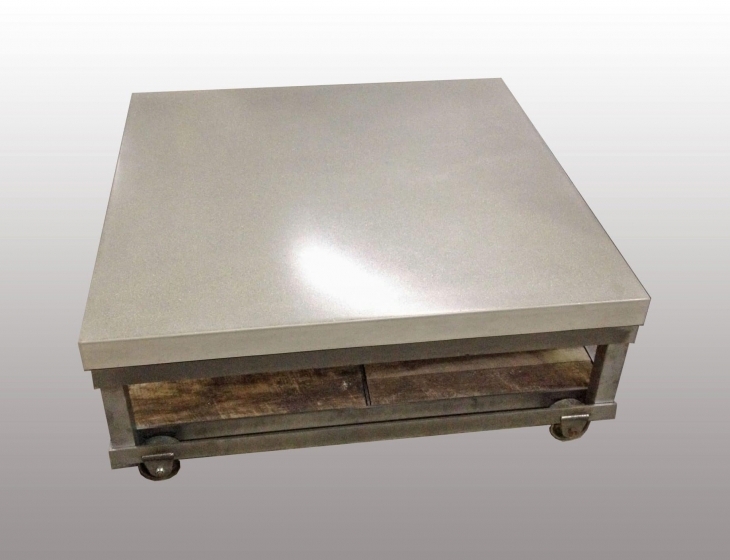 TIG welded base in 2″ square steel tube with leveling feet. 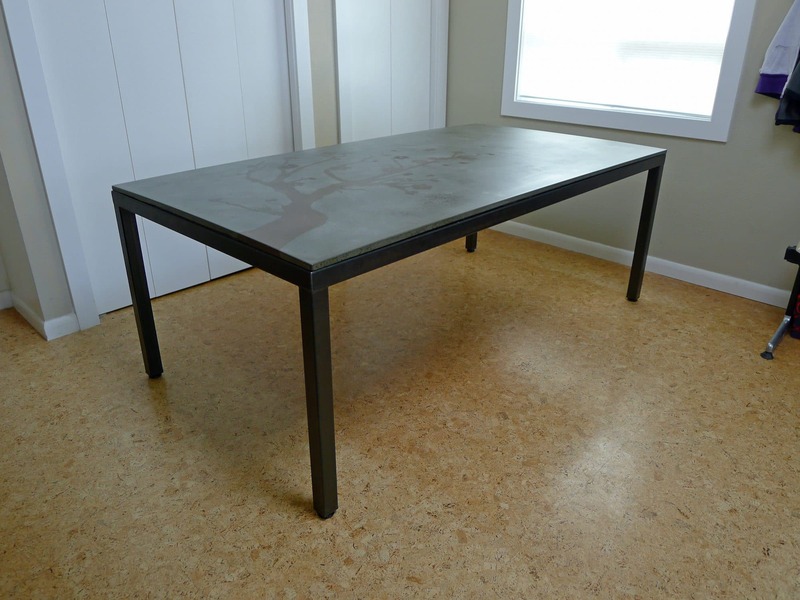 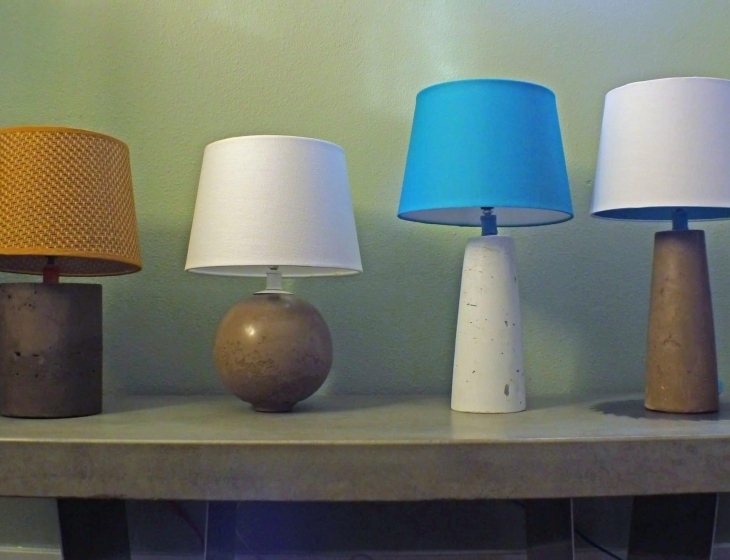 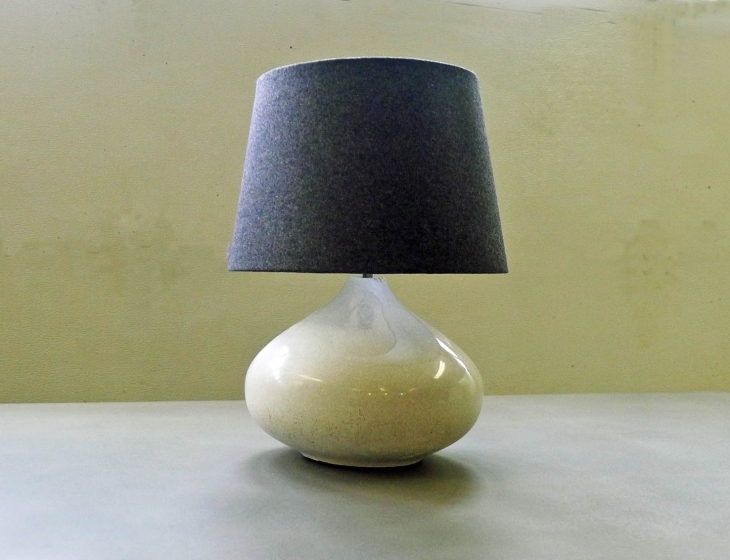 Finished in gun blue patina and wax.